Arcade Fire Announce Their First Show in Two Years! 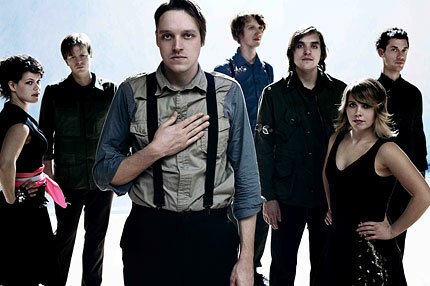 Arcade Fire adds a third live show headlining the Hove Festival in Norway on Friday, July 2, 2010. Arcade Fire announced second live show date at the Rock Wechter festival in Belgium! The band will play Sunday, July 4, 2010. Hot damn! It really is the luck of the Irish, isn’t it? Looks like the good people of Ireland will be the lucky spectators at Arcade Fire’s highly anticipated first show in two years! Performing at Ireland’s Oxegen Festival, July 8-11, 2010, the band will play alongside Eminem, Muse, Jay-Z, The Prodigy, Fatboy Slim, Vampire Weekend, and many more. Arcade Fire last performed at Barack Obama’s inauguration in January ’09 but has not taken part in any proper tour dates since ’08. This entry was posted in Uncategorized and tagged arcade fire 2010 festival dates, arcade fire 2010 show dates, arcade fire 2010 shows, arcade fire new album dowload, arcade fire tour dates, arcade fire tour schedule on March 8, 2010 by Sandra Burciaga Olinger.